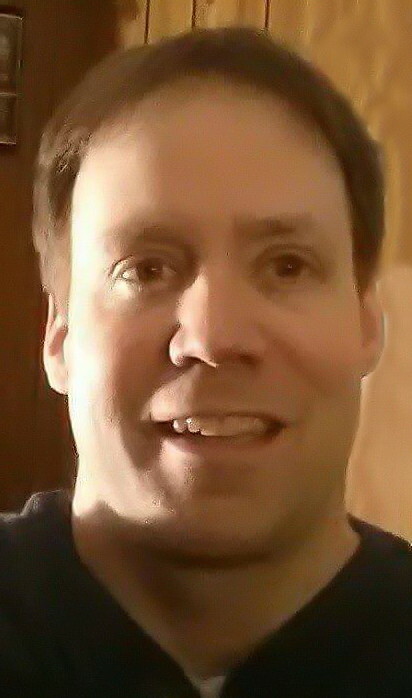 FAIRFIELD - Ryan W. Worster, 43, passed away Feb. 2, 2019 in Anson. He was born August 25, 1975 in Skowhegan, the son of Sheldon W. Worster and Corinne B. (Guenette) Mathieu. He graduated from Skowhegan Area High School in 1995. He was employed at Canaan Superette for 5 to 7 years and then went to Valley Distributors where he had been employed for 18 years. Ryan enjoyed camping, fishing, ice fishing, hunting, motorcycle riding, kayaking, 4-wheeling, snow- mobiling, spending time with family and friends and always spending time with his step-father, Ronnie, doing many different things together. He also loved to spend time with the boys, Nick, Jacob, and Ethan, doing the things that boys do. Ryan is survived by his mother, Corinne (Guenette) Mathieu and husband Ronnie of Canaan; father, Sheldon Worster and fiancé Elaine Carll of Skowhegan; significant other, Mindy Stoddard and her children Nick, Jacob, and Ethan of Fairfield; sister, Shelley Corson and husband Michael of Madison; nephew, Alex Corson of Madison; step-sister, Denise Lang and husband Brad of Skowhegan; nephews and nieces, Tyler, Ticy, and Telena all of Skowhegan; grandparent, Selma (Worster) Grant of East Machias; special friend, Adam Fuller; many cousins, aunts, uncles and friends. He was predeceased by three grandparents, Guy Worster, Gus Guenette, and Elinor Guenette; step sister, Leona (Mathieu) Abbott. A memorial service will be held Saturday, February 16, 2019 at 12:00 noon at the Poulin-Turner Union Hall, 653 Waterville Road, Skowhegan with Reverend Mark Tanner officiating. A Celebration of Life will follow the memorial service.